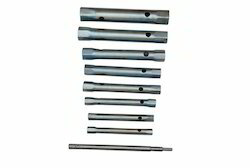 We are one of the leading manufacturers, suppliers and exporters of Anvil Tool. 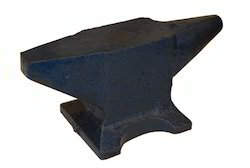 Our offered Anvils are manufactured making use of optimum quality metals and latest techniques, thus ensuring that these suit the specific demands of clients. In addition to this, our range complies with the set international quality guidelines and norms. The product is also known by its Italian name as Incudine Ghisa. 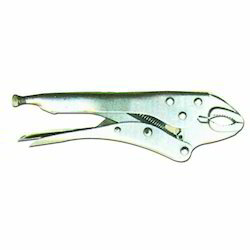 We have in our store a wide variety of Vice Grip Plier for the clients. Our products are manufactured using high-grade raw material and modern machines and that too in exact accordance with the defined industry quality standards. Designed to perfection under the guidance of deft professionals, these products are further checked for any kind of finishing defect before dispatch. The product is also known by its Italian name as Pinza grip ganasce concave. Our organization is highly acknowledged across the international market for offering a wide assortment of Tubular Spanners. Fabricated using high quality metals, these products are made available in several types of standards and other specifications. The product is also known by its Italian name as Chiavi A Tubo. 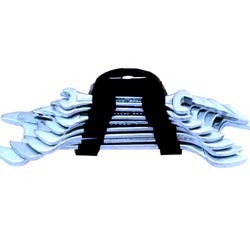 On offer from us is available a Double Open End Spanner Set (In Plastic Clip Pouch) for our valuable clients. The products we deal in are designed and fabricated under the guidance of experienced engineers using hi-tech machines and optimum quality metals. In addition to this, to assure zero defect in the offered range, we precisely check it on set parameters. The product is also known by its Italian name as Serie chaivi fisse. Available with us is a Bill Hook with Grip to the clients, which is offered at market leading prices. These bill hooks are manufactured in accordance with the clients' specific demands, complying with the defined industry norms and standards. We provide these bill hooks in standard size and 21.5 gross weights. Looking for Anvil Tools ?